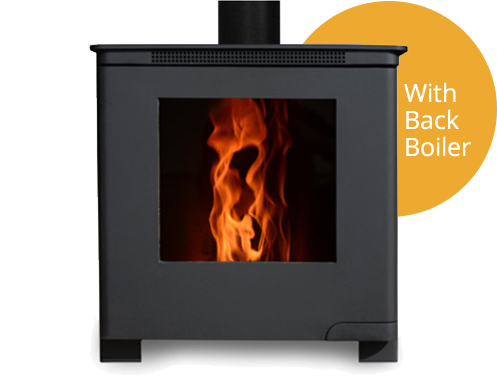 Island Pellet Stoves is a UK company bringing a British designed and manufactured range of innovative and efficient wood pellet stoves and boilers specially for the UK market. 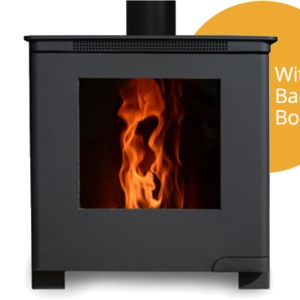 Our stoves offer a modern wood stove experience with quiet operation, real wood flames and very low emissions. 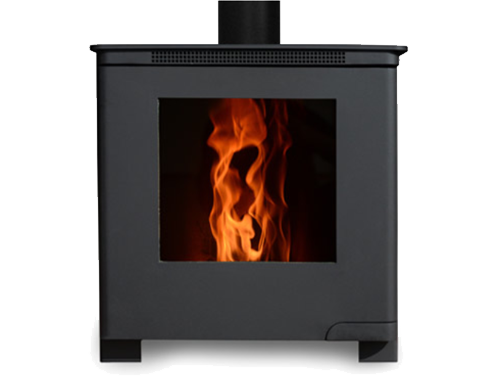 The Lundy stove will fit into conventional fireplaces with standard chimney arrangements or a balanced flue. It is simple to control and automatically lights and runs with very low maintenance and intervention. Our novel heat exchanger design and clean combustion technology means the Lundy stove achieves high efficiency and low emission levels that exceed the Ecodesign standards. 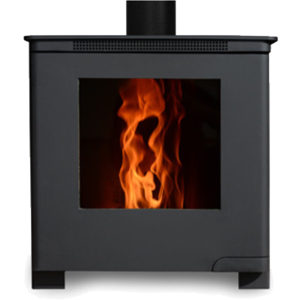 The Lundy is available as both room heater stove model or boiler version to heat hot water and radiators. With a 15 kg on board hopper the Lundy stove easily holds a full bag of pellets. With its front / top loading hatch the stove can be filled with easy to carry single bags or with a pellet scoop. As wood pellets have a high density they require far less storage space than logs. With pellets bought in bags they can be easily stacked in a garage or shed and brought in once a day. The stove is fully automatic which means once the hopper is full just a touch of a button (remote control or touch screen) will feed in pellets, ignite the fire and adjust the rate to control the temperature of your room or hot water tank. Up to 10 hours operation without needing to open doors to refuel or touch stove whilst in operation. We have a long history of low carbon building services, flue design, plumbing and heating systems design – add this to our product knowledge and you get qualified technical assistance from your initial enquiry discussions, through the design process and finally attending to commission and set up your stove before training and hand over to you. We have a convection room heat only stove which heats the space in which it is installed and we have a boiler version which can connect to a hot water tank, radiators in other rooms or even a buffer vessel. We have some real novel options such as what we call a ‘balanced flue’ which means the air supply is drawn from the top of the chimney and this means a lower height flue can be used. Take a look at our products but always remember you are welcome to get in touch with any questions.